What would make you want to comment on a blog? Or you could look at it from another angle – is this post worth commenting on or not? Sadly, and I really mean this, the decision whether to leave a comment is hindered by the post's quality as well as its content. Oh, Alice, you're being cruel! Yes, I probably am. Being a bit older than many bloggers means I have standards. If I come across an inferior post, I am not compelled to comment on it. However, you could say - come on Alice, give them a chance. Everybody blogger deserves a comment on their post. And yes, they do. But it would be much easier if the subject interested me, the content was written so I could understand it, and there was a definable purpose to the post. But hang on a minute - this is The Commenting Club! I created this club to encourage more commenting. So part of overcoming this barrier – for that's what it is, a barrier to commenting – is all about understanding the function of commenting. Commenting is about showing your appreciation, expressing an opinion, adding value to the post and extending its content in a helpful way. You could see commenting as a 'verbal hug' or a 'written nod'. I like that definition. It's a written version of clicking on the 'like' button (and there is no reason why you can't have like buttons on comments too!). Surely commenting is a bit more than that? Yes, it is. Blog commenting is not the same as commenting on social media (even though now Facebook wants to change all that!). Generally if you want to comment on a blog, you need to write something more substantial. That is the nature of blogging – it's necessary to offer a bit more than just a status update. 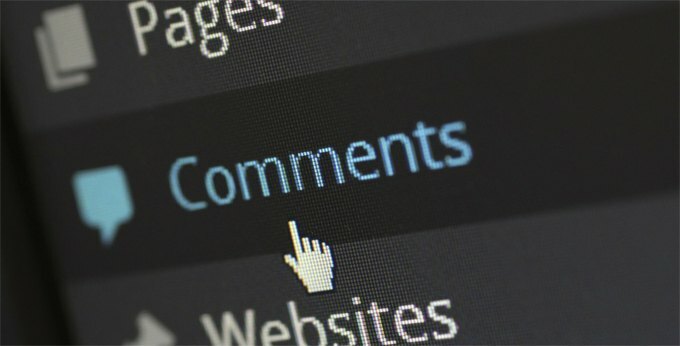 Blog comments could be seen as ‘responsive mini-posts’ or a ‘post review’. All this provides more content than just a few positive words. However, this doesn't give you carte blanche to ramble on regardless about anything you want. The clues are stated above: 'mini' and 'review'. Although this is better than writing 'Nice post', which is meaningless and useless, it doesn't open the door to a rant or tirade. So there's quite a lot more to commenting than just writing a response? Yes, there is. That's why I've set up The Commenting Club. And that's also why I want all blogs to open up their commenting systems, to allow their readers to have their say. And to make the process of commenting effective again, the blogosphere may need to be re-educated why it is important to comment. Social stigmas, misunderstandings, false news and poor actions taken by those you should know better have all scuppered commenting in the past. I want to address that. I want to bring commenting back to the fore – not only on blogs, but on social media, written reports, children's homework, filling in applications - the possibilities are endless! Wow - I didn't think of commenting like that! I've been working on understanding everything there is to know about commenting for four years. And I haven't finished yet! I want to understand what other people think about commenting, what makes them want to comment on posts and social media updates. There are many practices and functions I have yet to explore. The Commenting Club will allow me to explore the art of commenting to a much higher level. This community gives bloggers, readers or anyone interested in interaction the chance to find out more, share their knowledge, show of their expertise, and whatever else I think is applicable. So are you interested in whether to comment or not to comment? Does The Commenting Club concept intrigue you? Would you like to give it a try?